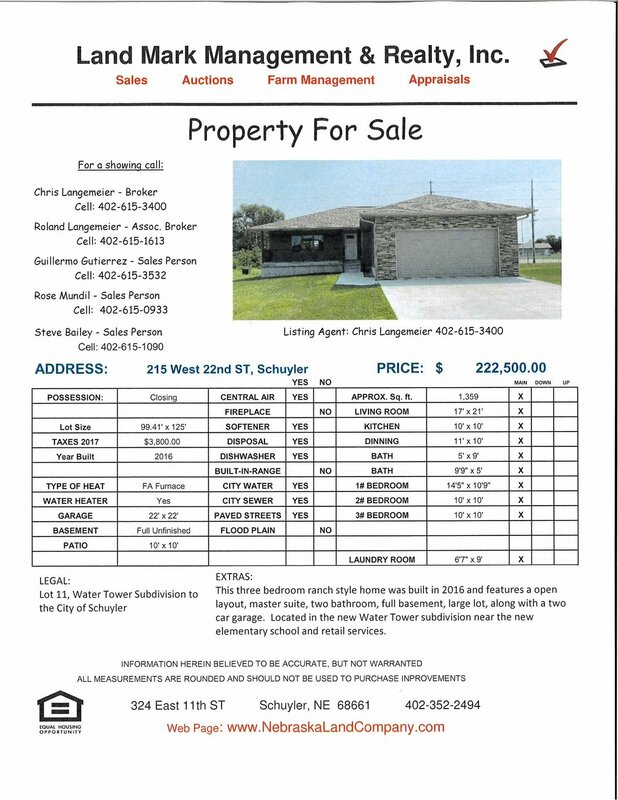 215 West 22nd Street — Schuyler, Nebraska — Land Mark Management & Realty Inc. This three bedroom ranch style home was built in 2016 and features a open layout, master suite, two bathroom, full basement, large lot, along with a two car garage. 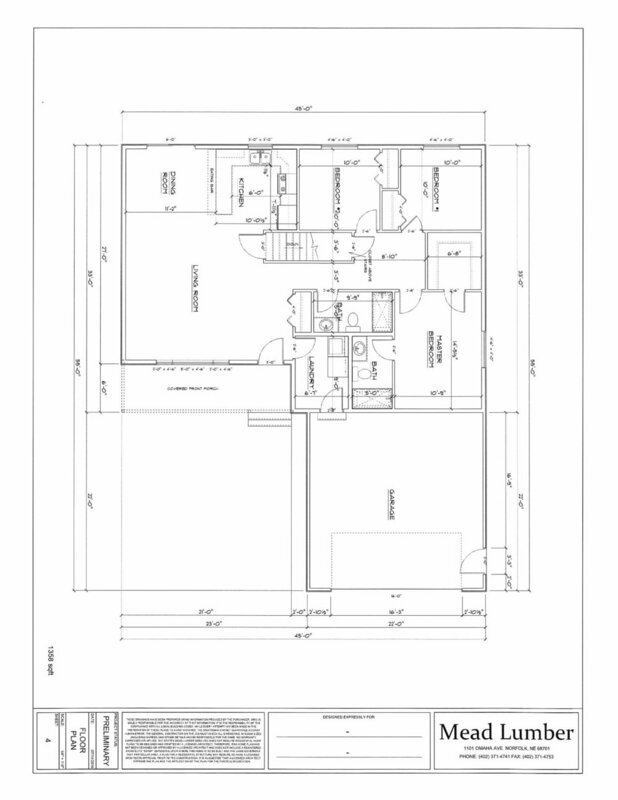 The home has underground sprinklers and window treatments. 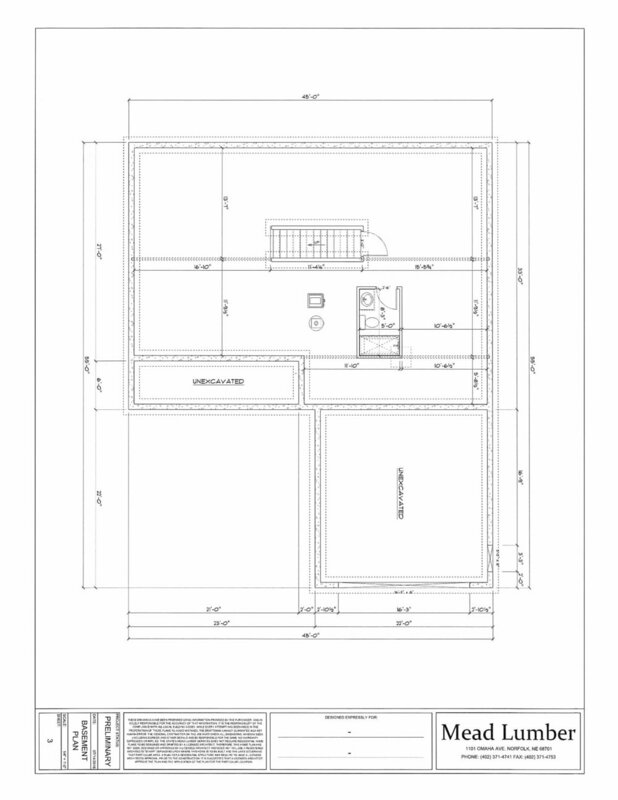 Located in the new Water Tower subdivision near the new elementary school and retail services. Its a quick drive to the four lane giving you easy travel to get anywhere.